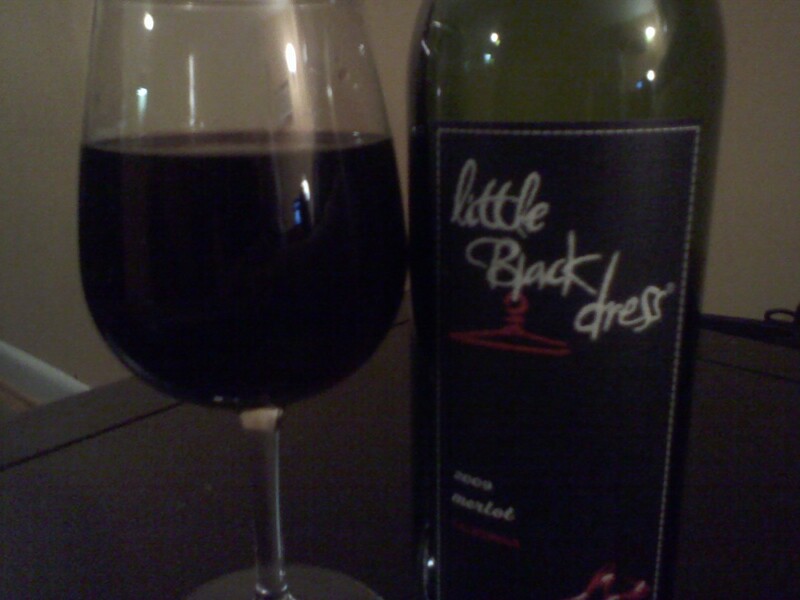 Little Black Dress Merlot 2009. What a great wine this is with cherry and plum flavors. You would think it would be sweet, but I would concider this a semi sweet wine. Its flavors will keep your pallet wanting more. I know mine does. This wine goes great with any kinda of meal. I give this wine a 9 out of 10. Yes, we’ve had this, and I definitely concur. It’s a very nice wine, and it is also economical. I love sweet wines, and I would buy this just for the name: Little Black Dress!